The Journal of Jewish Studies Supplement Series includes the latest title “The Image and its Prohibition in Jewish Antiquity”, which will be launched tomorrow evening at the Oxford Center for Hebrew and Jewish Studies, Yarnton. The volume contains essays by leading scholars in the field of Jewish Antiquity including the launch’s discussion panel: Sarah Pearce, (University of Southampton), Professor Philip Alexander FBA (Manchester University), Professor Tessa Rajak (Oxford), Professor Sacha Stern (University College London), Professor Hugh Williamson FBA (Oxford), Dr Jane Heath (University of Durham). This law was written to combat the proliferation of idols, which distracted from the essence of Judaism, and shifted the attention towards material goods. The prohibition was intended to draw the Israelites away from the creation of idols, rather than to stop all decoration and the production of images. 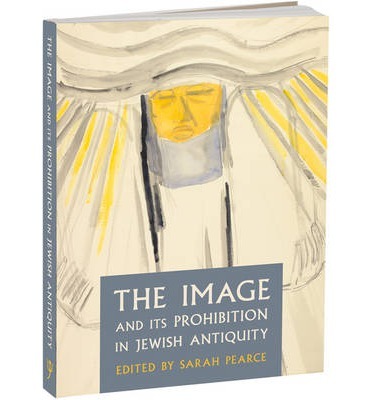 ‘The Image and its Prohibition in Jewish Antiquity’ edited by Sarah Pearce, explores the dynamic between the image-filled classical culture of the Mediterranean world, and the ‘law-inspired’ images within Jewish culture. The book offers examples of Jewish images which borrow from the Classical tradition, but that avoid idolatry, by using art and images for decorative and pedagogical purposes only. The volume contains beautiful images, produced in exceptionally high-quality, such as the magnificent Macedonian gold wreath from fourth century BCE. The wreath is one of 8 that have been found discovered and thought to have been used for a variety of social and religious ceremonial occasions. A metal band is adorned with leaves and flowers made of very fine gold, which move with the person wearing it, as a wreath made of real foliage would. Jane Heath writes that the wreath is indicative of a Hellenistic interest in realistic art, and the ‘elaboration of the topos of realism’, particularly within the literary tradition. Heath skilfully argues that the Letter of Aristeas is not just combining Greco-Roman ideas with Jewish traditions, but instead uses only non-figurative subjects, and engages with the cultural interest in realism, however draws the line at using allegory to describe the tabernacle gifts instead describing them as realistically as possible; Thereby emphasising the value of the gifts of the tabernacle. Essays in the book explore contexts including late antique Palestine, urban Galilee, Dura-Europos and Jerusalem. H.G.M. Williamson considers the interesting question of the use of the image of the deity in the First temple in Jerusalem. Williamson looks at archaeological and textual sources from Jewish and contemporary contexts including figurines from Judea, thought to be of the goddess of fertility Ashrah, who was sometimes described as the consort of Yahweh. The scope for this book is wide and the subject matter far-reaching. It is a fantastic exploration into the role of the second commandment within ancient Jewish culture, something which has rarely been given such in-depth attention. Details of the launch and ways to purchase the book are below. A copy of the supplement is also available in the Library. This entry was posted in Acquisitions, Highlights, Journal of Jewish Studies, Periodicals on 27 May 2014 by zeidlerm. The Library is moving during the summer vacation into central Oxford, for more information about how this will affect readers see our previous blog post or contact Library staff: muller.library@ochjs.ac.uk. As we prepare to move we have also been looking back into the history of the Library at Yarnton Manor. 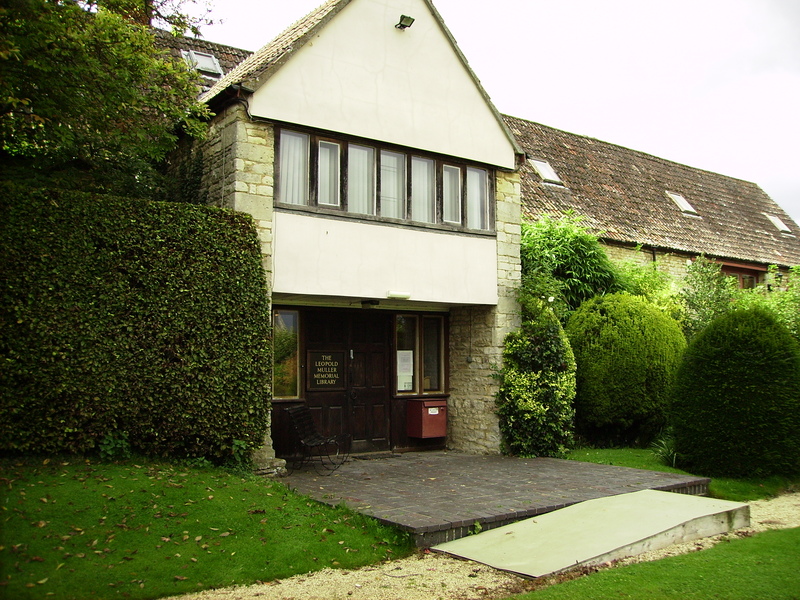 The centre was established in 1972 and moved to Yarnton Manor in 1973/1974. The Barn was converted into a Library space and it has been the home of the main Library ever since. Whilst still in Oxford the Library acquired the Kressel Library (25,000 volumes) and the Kressel Archive(over half a million items), which formed the basis of the Library’s collection. A further consignment from the Kressel collection was received between 1982 and 1985.For the Library this period was and space became an increasing issue. These problems are strongly expressed in the annual report about the library 1984/1985: ‘There are 30 tea-chests and 14 cardboard boxes full of books as well as innumerable heaps of books on the floor, and yet very little spare shelving to put them on. The situation has dictated a strategy of the ruthless disposal of all duplicate copies, and even the withdrawal from the shelves of older books superseded by recent scholarship’. At a ceremony in October 1992 the Library changed its name to the Leopold Muller Memorial Library after receiving £1 million donation from the Leopold Muller Estate. The Library had grown and many of the materials, including the Qumran collection and the Kressel archive were moved to the Exeter Farm site, which was purchased by the centre in 1991/1992. 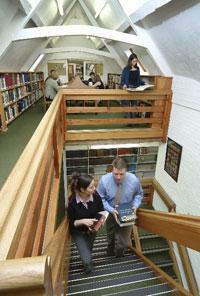 At the time the library lent only to Manor residents, and proudly reports loaning 2,012 books during the academic year. The Library completed a major milestone in the completion of the online western language catalogue, as part of the Oxford University Library Catalogues (OLIS). In 2004 Louis Jacob’s extensive library of over 14,000 volumes was donated to the library. 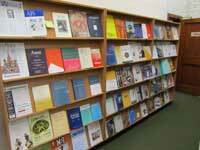 Particularly noteworthy are the section on Kabbalah, mysticism and Hasidism, areas which the library was previously lacking. The collection made the Leopold Muller Memorial library an outstanding place for the study of rabbinic Judaism. 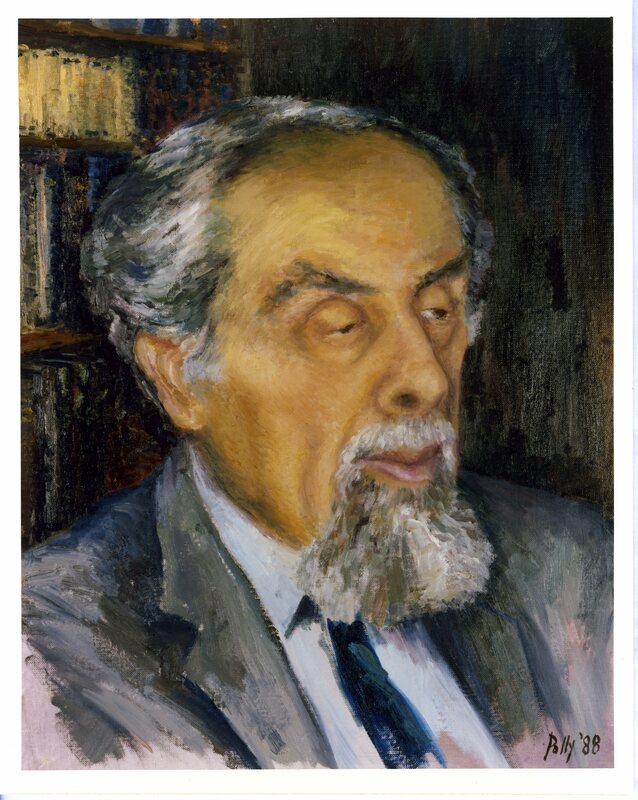 The collection is used extensively and in 2013 an Oxford Seminar in Advanced Jewish Studies (OSAJS) was held at the centre drawing together international scholars to research. The seminar, ‘Orthodoxy, Theological Debate, and Contemporary Judaism: Exploring Questions Raised in the Thought of Louis Jacobs’ ran from January to June and the library curated an s archive to coincide with the project. This year the Library put together an exhibition to showcase the the Western Hebrew Library rare book collection deposited on long-term loan from the New West End Synagogue. This collection will complement the library’s growing rare book collection. 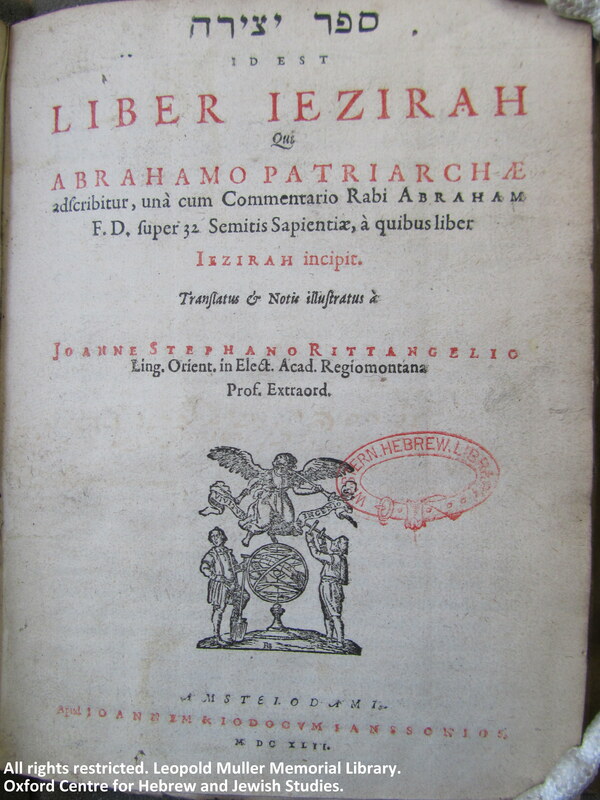 The Library contains an outstanding collection of early modern Hebrew prints. The library will be moving this summer and we look forward to welcoming you to our new home. Watch this space for 2024! This entry was posted in Acquisitions, Book restoration, Exhibitions, Hebrew printing, Highlights, Louis Jacobs, Western Hebrew Library on 20 May 2014 by zeidlerm. As part of the relocation of the Oxford Centre for Hebrew and Jewish Studies, the Leopold Muller Memorial Library will be moving to a new venue in central Oxford in the summer of 2014. The move will allow us to improve our services and our presence in central Oxford, and it will result in a closer integration of all libraries in the University with Hebrew & Jewish Studies holdings. As a result, some services will not be available to our readers after the end of Trinity term (21 June 2014). The Library will be closed throughout August and for parts of July and September. All books on loan will be recalled for return at the end of Trinity. The circulation of all holdings will be suspended from the end of Trinity until the start of Michaelmas term (12 October 2014). Parts of our collections will remain available for consultation at some times (check with the librarians at muller.library@ochjs.ac.uk), but the majority of the books and archives will be in transit, and as such will be unavailable from 24 June 2014 until the start of Michaelmas term (12 October 2014). For further information, please see our website, where we will post regular updates. Apologies for any inconvenience this may cause and thank you for your patience and co-operation. This entry was posted in Uncategorized on 16 May 2014 by zeidlerm. Leopold Muller Memorial Library | Jewish Studies Library at Oxford on Our new digital exhibition is up! Johannes Stephanus Rittangel and the Sefer Yetsirah | Jewish Studies Library at Oxford on A commentary on the Book of Daniel and slavery abolitionists – is there a connection?